A detailed model of Metropolis Plaza, Malta's tallest building, was unveiled last month at the brand new sales and design lounge of Metropolis Developments Ltd. The model, built to scale by a specialist company in England, clearly reflects the immensity and complexity of the project - a first for Malta. The unveiling of the project took place in conjunction with the official launch of a number of apartments on the market. J.R. Aquilina, chairman of Metropolis Developments Ltd, said: "We are open for business!" as he calmly unveiled the model. Phase 1 of the development, which went on sale on November 29, will consist of a varied and diverse mix of units located in one of the three towers. Metropolis Plaza will be a dynamic new architectural project set on a footprint of 7,000 m2, consisting of M Towers, the residential segment with a mix of high quality residential apartments, duplex loft style units, sky villas, duplex penthouses, and the Plaza, comprising of cleverly designed commercial and retail spaces. Fronting four streets, this exciting avant-garde superstructure will consist of three towers, two of which will rise higher than any other building on the island - north tower (33 floors), east tower (27) and south tower (13). Carefully designed living spaces have been created, emphasising extensive and spectacular views extending way beyond Valletta, Manoel Island and Sliema Creek. A 1,700-sqaure metre plaza has been planned and will become the centre of interaction between residents and visitors, with its water features, restaurants, cafés and gardens. Above the commercial section and below the residential area, yet another open space will be created, offering an elevated and secure garden and terrace, designed exclusively for residents and club members. The garden level will surround the gym, spa and pool area enclosed in glass to maximise on light, space and views. Ample underground parking facilities will be available and residents will have the added luxury of dedicated floor areas with direct lift access to the residential level of Metropolis Plaza. CEO Stephen Muscat said M Towers at Metropolis Plaza would offer one of the most well planned and designed residential complexes on the Island. 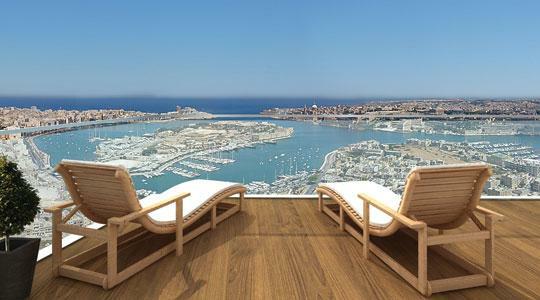 A novelty for Malta is that a private lobby with concierge services will be exclusively available to residents and will service the needs of all three towers. The latest technology will be installed to make sure that residents are guaranteed a level of comfort, safety and accessibility synonomous with any other major luxury residential development of this nature and international standards. Referring to the interiors and focusing on the design elements of the building, company director Joe Aquilina said the Metropolis Plaza would take a completely new approach to modern living. Every apartment will be designed around the personality of its residents, each of whom will be invited to choose from a selection of concepts and moods specifically created for Metropolis Plaza by Dordoni Architetti of Milan. This Milanese architectural firm is, in fact, in accordance with brand image concepts by Domenico Dolce and Stefano Gabbana of D&G, responsible for the design of D&G boutiques worldwide. With the creation of four bespoke interior concepts for Metropolis Plaza, namely contemporary, metro, nature and timeless, Mr Aquilina believes that Dordoni Architetti have taken "the strain" out of buying a dream home. Metropolis Developments Ltd is made up of a group of investors who have identified the potential behind regenerating a central location in Malta. Together with the board, the decision was taken to put together international experts from various fields and countries. The project, in fact, is a benchmark in architectural design and living standards and is leading the process of ongoing regeneration of the Gzira marina district.